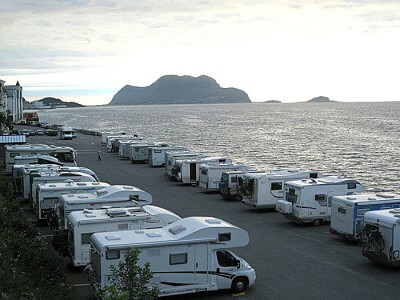 Here you will find motorhome parkings for overnight stays and emptying stations for motorhomes in Norway. The motorhome parkings will have very different facilities. Here is Ålesund. Foto: Knut Randem. We keep track of motorhome parkings which are more or less officially accepted through signage or custom. It is not possible to keep track of free, unorganized possibilities. 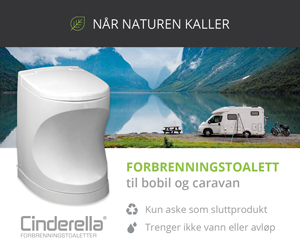 The sites are so many and suitable perhaps only for one motorhome at a time. You need to find them yourself. You can here find motorhome parkings either by county or on a map. Both leads you up to a separate page for each motorhome parking. Places where you can emty toilet and wastwater are listed by county. Where both road address and GPS position are indicated it is probably best to use the road address. GPS positions measured by conventional GPS units may have varying accuracy when they are reported to us. Usually this is no problem. Map markings are also based on reported GPS position. 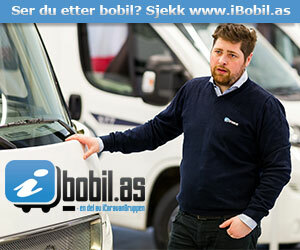 It is emphasized that these pages should be easy to use with a mobile phone or tablet. They can therefore look a little «boring» on a pc / mac, but is more versatile with the mobile phone you are using when you are traveling.